A solar eclipse is when the moon moves in front of the Sun, blocking sunlight from reaching parts of the Earth’s surface. However, due to variations in their orbits and because the moon is much smaller in size than the Sun, total solar eclipses are much rarer than total lunar (moon) eclipses. They are also much less common over high latitudes (such as in Scotland), hence the very unique occasion of tomorrow’s eclipse. Please note: Do not look directly at the sun. Use eclipse glasses. The tides around the coast of the United Kingdom fluctuate between “spring” tides and “neap” tides according to the moon’s phase, full moons and new moons giving rise to the largest range tides, known as “spring” tides. That means that both the highest high tides and the lowest low tides (i.e. the largest range) occur at “springs”, while at neap tides the tidal range is smallest. The word “neap” is thought to have originated from the Middle English word ‘neep’ meaning small. The word spring refers to the tide springing up and not the season of spring. In simple terms, spring tides occur when the gravitational effects of the moon and the sun are aligned, giving the greatest net effect. At neap tides, the gravitational pull of the sun and the moon act in perpendicular directions, so the net effect is smaller. Tides at the equinoxes are generally the largest of the year, so this year will be the largest seen for a number of years. The high astronomical tides will not cause coastal flooding alone around the Scottish coastline unless combined with the effects of storm conditions. Storm systems can cause an increase in water level known as a storm surge which can elevate the normal tidal height as much as 1.5 meters. In contrast to this, the upcoming astronomical tides will increase the average spring tide height up to 30 cm around Scotland (most places however will be increased only 10 to 20 centimetres). The difference in tides between locations depends on local conditions such as the shoreline topography and contour of the ocean floor. At Scrabster, for example, an average spring tide consists of a high water of approximately just over 5 meters and a low water of approximately 0.5 m. The super tide in January increased this tidal ‘range’, with a high water level of 5.3 m and a low of 0.2 m. It might not sound much (increase of ~25 cm on normal tidal levels); however, if combined with a storm surge there is an increased risk of coastal flooding. In Inverness the super-tide for January caused a predicted high tide of 5.0 m and a low tide of 0.7 m, whereas an average spring tide (for example, on 22 December 2014) the high water mark was 4.7m and the low tide was 0.9m). Areas of low-lying topography are most at risk of flooding. Outside Scotland in French Guiana, for example, the super tides will cause a 6 cm increase in the average spring tide height, which will lead to a 90 m shoreline retreat (http://www.nature.com/ngeo/journal/v1/n3/full/ngeo127.html). So the threat posed by super-tides depends strongly on the nature of the local coastal area. Storm surges occur due to the winds and low pressure associated with a large depression or storm. 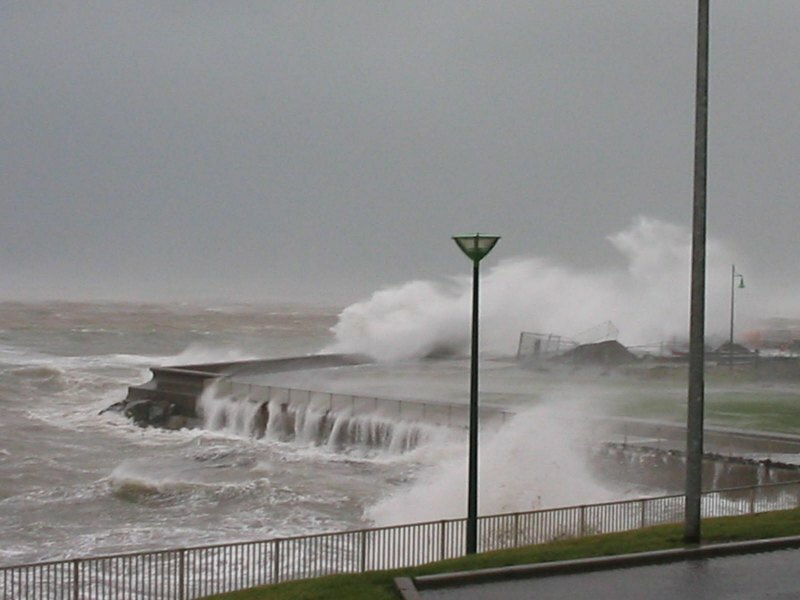 Low atmospheric pressure allows the local sea surface to rise, and strong winds can pile up water against a coastline. Combined, these two effects can elevate sea level by several meters (the storm surge during Hurricane Katrina in the Bay of Mexico in 2005 was about 9 m). 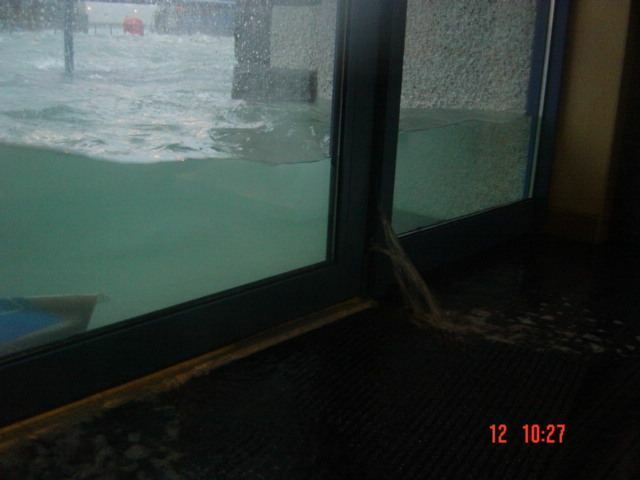 Closer to home, in January 2005 a large storm (see figure) created a storm surge which elevated the normal level of the tides in the north coast of Scotland by 1.5 meters. The storm led to significant flooding in communities along the north coast of Scotland. As salmon anglers prepare for a new season by and on the rivers and lochs of the University of the Highlands and Islands region, this blog shows that this much-discussed fish has had a controversial reputation in history. ‘Omega 3 fatty acids’ do not feature in Gaelic mythology. Nevertheless, the legend of Finn MacCool (Fionn Mac Cumhaill) depicts the ‘Salmon of Knowledge’, the flesh of which, when consumed, would transmit wisdom and other powers. Further afield, indigenous peoples from as far apart as the Pacific North West, northern Japan and Siberia, have enacted complex rituals to mark the importance of the salmon in their respective cultures. All of this suggests just how common it has been to seek to benefit from the apparent spiritual, commercial and nutritional value of what is often referred to in Scotland as the ‘king of fish’. Here in the Highlands and Islands, in 1629, the Scottish Privy Council reported that one of the “speciall temporall blessings [of] … the north pairts of this kingdome consists in the salmound [salmon] fishing”. Several decades later, Daniel Defoe, renowned English trader, writer and spy, claimed that “the rivers and lakes also in all this country are prodigiously full of salmon; it is hardly credible what the people relate of the quantity of salmon taken in these rivers, especially in the Spey, the Nairn, the Ness, and other rivers thereabout”. He added that salmon was “in such plenty as is scarce credible, and so cheap, that to those who have any substance to buy with, it is not worth their while to catch it themselves”. Other 18th century writers came to similar conclusions. The concept of Highlanders surfeiting on salmon – a fish that has become a more exclusive preserve in the region – seems hard to imagine, although Franck was not alone in claiming its limited role in ensuring a healthy diet. Jonston’s ‘A Fisher’s Apology’, from which this is taken, comprises a lengthy complaint to a local minister about not being allowed to fish for salmon on the Sabbath. It outlines the activity, on one hand, as a highly regulated and commercial pursuit permitting local burgesses to “purchase wine to strengthen the young and enliven the old” and, on the other, as a simple “refreshment”. So, the part of the salmon in the history of northern Scotland and the Highlands might be considered a ‘big issue that got away’. It is one made controversial by the question of the fish’s extraordinary migrations across sea and up-river, the frequent consideration of its flesh as a source of sustenance, intelligence and more material benefits, its symbolic position as a reflection of the region’s social inequality, or else, for a small number of writers at the other end of the scale, its association with ill-health. Clearly, despite salmon’s high visibility and popularity on restaurant menus and in recipes today and its occasional capture by anglers poised by riverbanks from Ness Walk to the Naver and the Nell, this ‘highly paradoxical fish’ occupies a slippery position in the history of northern Scotland. For every dramatic leap upstream there have been moments where it has had to linger in darker pools. Register of the Privy Council of Scotland, Second Series (Edinburgh, 1901), III, p.18. Peter Coates, Salmon (London, 2006), p. 10. A Very Viking Christmas? Yule be surprised! With merchandise from Disney’s Scandinavian-inspired animation Frozen expected to top toy gift lists this year and the increasing popularity of Scandinavian-style festive jumpers, staff from the University of the Highlands and Islands’ Centre for Nordic Studies give an insight into how Viking culture has influenced Christmas traditions. While Christmas is predominantly viewed as a Christian celebration, many of the traditions associated with it are thought to have origins in Viking culture. Scandinavian people marked the time around the winter solstice, when daylight hours start to lengthen, long before Christianity came to Nordic regions. They would prepare food, brew alcohol and visit friends and relatives in the festival known as Yule, a term possibly derived from the Old Norse “jól”. Dr Alex Sanmark, reader at the Orkney-based Centre for Nordic Studies, explains: “The meaning of “jól” is uncertain and no satisfactory explanation has been put forward, but suggestions have ranged from “the time of blizzards” to “joyous feast” and even “magic”. “Another custom surrounding Yule is that of dressing up in costumes and engaging in community drama. As a child in Norway in the 1980s, I remember dressing up to “gå julebukk” – to go Yule-goating. Julebukk involves dressing up with a mask and going to people’s doors to chase out Christmas around New Year time. You sing and carry a sack to collect cakes and sweeties. Another creature in Scandinavian folk belief was a small being known as the “tomte” or “nisse”, thought to live in byres and stables. Aspects of these customs are echoed in aspects of the festive season we know today, including carol signing, Santa Claus and his elves, pantomime and first-footing. A more recent addition to many families’ experience of Christmas is the Disney blockbuster, Frozen. Loosely based on the fairy tale The Snow Queen by Danish author Hans Christian Andersen, the film is full of references to Scandinavia and its traditions. The animation is set in Arendelle, a mythical kingdom inspired by the fjords, mountains and architecture of Norway. It features several items associated with Scandinavian history and culture, including Nordic runes, a maypole and trolls. Professor Donna Heddle, director of the Centre for Nordic Studies, summarises the relationship between Nordic culture and Christmas: “There is no doubt the North has had an influence on the modern concept of Christmas and this is now being seen in popular culture, for example, in films like Disney’s Frozen. The Centre for Nordic Studies is part of Orkney College UHI, one of the University of the Highlands and Islands thirteen partners. You can find out more about its work and courses at www.uhi.ac.uk. The next intake for its Viking Studies course is January 2015. Hoping for a White Christmas? Seven Facts about Yuletide Snow! Look to the North! It is from the north that Scotland usually gets its snowiest and coldest weather. Initially, the best places to find snow are Caithness, Sutherland, around the Moray Firth and northern Aberdeenshire. 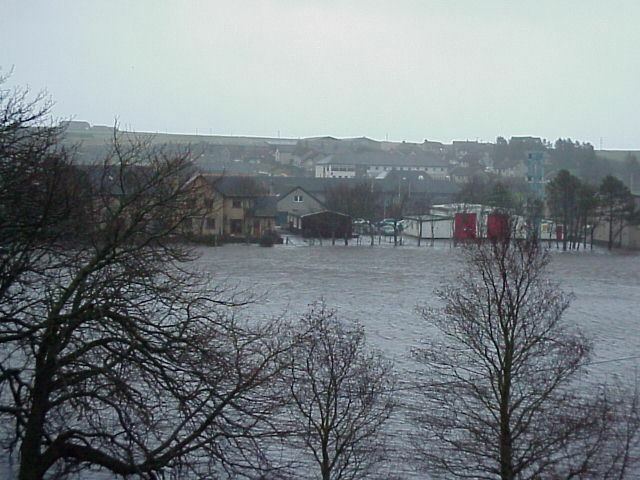 For sustained and lengthy periods of snow across all of Scotland, the ideal conditions would involve a blast of frigid air directly from the Arctic (containing heavy snow showers within a ‘polar low’), followed by several days of fine, freezing weather as a cold anticyclone becomes established – we saw conditions just like this during Christmas 1995 and again at Christmas 2010. Easterly winds from Siberia are less likely to develop early in the winter, but in the past they have brought substantial snowfalls to east-facing coasts and hills (especially across the Borders and rural Aberdeenshire) – for example at Christmas 1996. Westerly winds can also bring snow occasionally, but it usually does not last for long at sea-level and tends to be slushy in nature. Visit the Highlands! The chance of snow increases markedly with altitude in Scotland, almost regardless of how little snow there has been near sea-level. So if you are desperate to throw a snowball or just touch the white stuff, make a beeline for a Corbett (above 2,500 feet) or a Munro (above 3,000 feet) – you are almost guaranteed to see some snow! Watch for hesitant, wavering fronts advancing slowly from the south-west – if deep cold air has become established over Scotland (for example, during an extended period of high pressure with frosty conditions), a slowly advancing Atlantic frontal system can potentially bring very heavy snowfalls on its progress north-eastwards. The best conditions for making a Snowman? Actually these are not to be found during coldest weather, but when the air temperature is near freezing-point or even slightly above. This is because snow sticks best when there is a little (liquid) water present. So roll your snowballs at the warmest time of the day! Powder snow, on the other hand, is much more likely at sub-zero temperatures (typically below -3°C, right down to sub double-digits °C) – these make the best conditions for skiing, especially off-piste! Can I predict snow or icy conditions at home without watching a weather forecast? Yes, certainly! Make sure that you have a thermometer – put it in a sheltered place outside (away from direct sunlight or sources of heat) and watch the barometer and the wind direction too. If the air pressure and temperature are both low and the wind swings into the north-west, north or north-east, then the chance of snow is definitely increasing! 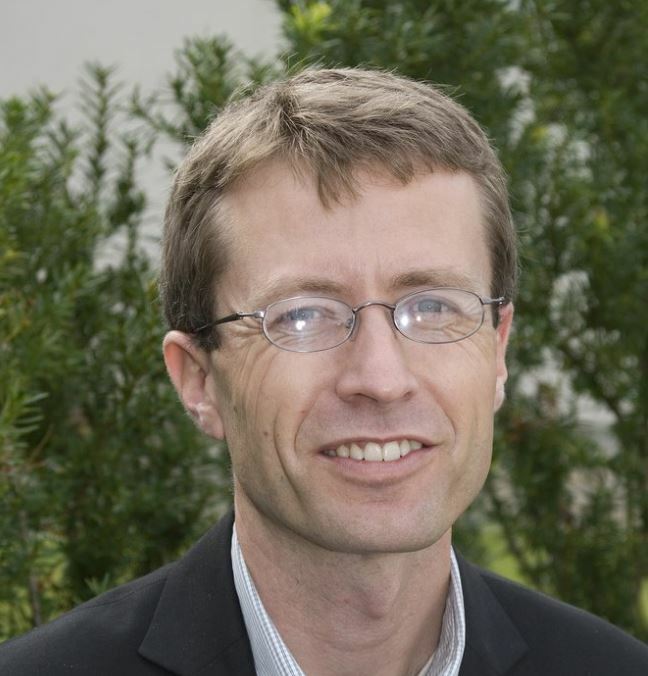 With the Kessock Bridge undergoing major repairs at the moment and the Cromarty to Nigg ferry due to open next week, Dr David Worthington, head of the University of the Highlands and Islands Centre for History, gives an insight into how people used to cross the Beauly, Cromarty and Dornoch Firths. Banff-born minister, Charles Cordiner, recorded these fond memories of being aboard a ferry heading southwards across the Kyle of Sutherland in 1776. He was not alone in being so positive about northern Highland ferries. 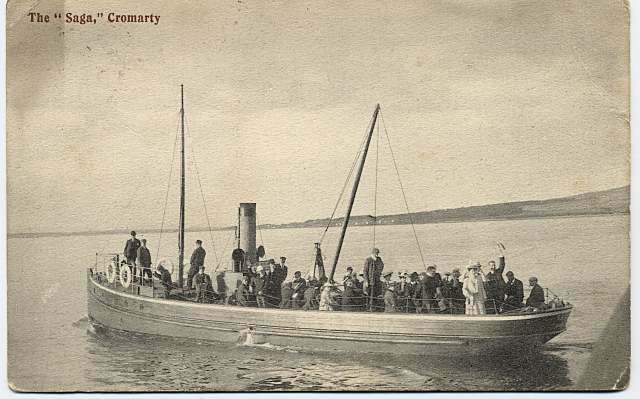 In the 1790s, the Minister of Cromarty concluded that the ‘safety of this ferry [Cromarty to Invergordon] may be judged of’ since ‘no accident has been known to have happened upon it’, a point made also about the Ardersier to Chanonry route by his counterpart in Rosemarkie and by claims, in the 1830s, that, despite the absence of a steamship, there remained ‘no ferry in Scotland better attended to’ than the Inverness to North Kessock service. These pre-20th century vessels may have served local passengers well enough on the whole. However, sea crossings in northern Europe are scarcely ever placid and external commentators usually conveyed an impression that the ferries were dangerous, at worst, and uncomfortable and expensive at best. In the 1650s, English visitor, Richard Franck, described the Inverness to North Kessock route as ‘exceeding hazardous’ and ‘rugged’, believing he would be capsized not just due to the ‘luxuriant tides, and aggravating winds, that violently contract the surff of the sea’, but because of the ‘porposses’ [porpoises or dolphins] that he thought were in danger of leaping into the boat. In the early 19th century, James Loch, estate commissioner for the first duke of Sutherland, remarked that the vessels were ‘without every accommodation which could make them either comfortable or convenient, the passenger being left exposed to all the inclemency of a variable and boisterous climate’, so that ‘the risk of crossing these narrow friths, hemmed in between mountains, was considerable’. The Minister of Kincardine near Ardgay was justified in being perturbed about the Meikle Ferry crossing across the Dornoch Firth which ‘is considered one of the most dangerous and inconvenient in the north; and many lives have been lost in crossing it’. Tragically, the ferry capsized there during a 1809 crossing causing up to 100 people to be drowned. Shortly after, Bristol-born poet and traveller, Robert Southey, met a son of one of those who died who ‘could never bear to set foot in a ferry boat after that catastrophe, and was thus cut off from communication with the south till this bridge [Bonar Bridge, 1812] was built’. Possible loss of life aside, travellers complained, even on calm days, of delays, discomfort and cold. In the 1760s, Bishop Robert Forbes was ‘long detained’ at Ardersier since ‘the Boat could not take over the Pasengers that appeared, the Horses and the Chaise all at once’. James Loch said his horse and carriage were only ‘slowly and unskillfully put into the wretched boats’ and Southey claimed that passengers on the Invergordon to Cromarty service had been ‘sometimes obliged to mount their horses nearly a quarter of a mile from the shore, and ride mid-leg deep in the water’. Despite calling the Kessock ferry the ‘best in Scotland’, Bishop Robert Forbes also noted that ‘they have no good means of getting carriages on board, and there was considerable difficulty with one of the horses’. Ferries in the firthlands could also be expensive. Moray minister, the Reverend James Allan, remarked in 1690 that ‘tho I kindled no smoak, they forced me to pay a shilling sterling’ on the Ardersier to Chanonry crossing. For Elgin man, Issac Forsyth, the ‘very considerable revenue exacted’ by the various ferry proprietors may have been ‘requisite for the support and navigation of the boats’, but still ‘few are satisfied with the provision made either for their accommodation or their safety in the passage of the ferries’. Thankfully, times have changed. Better piers have been built and the Nigg to Cromarty ferry, a service with origins dating back to the 12th century, has, in modern times, become a safe and pleasurable experience for tourists and locals alike. Now that rail and road have taken over though and the Beauly, Cromarty and Dornoch Firths have all been bridged, it is perhaps only through taking to the waters in this way or from the air that we can be reminded of the basics of geography and of the networks that operated to link Ardersier with Little Ferry in eastern Sutherland and many points between along this roughly indented stretch of coastline. Charles Cordiner, Antiquities and Scenery of the North of Scotland, in a Series of Letters to Thomas Pennant (s.n., 1780), pp.65-6. The Statistical Account of Scotland 1791-1799, 20 vols., (Wakefield, 1973-83. ), XI, XII; The New Statistical Account of Scotland [hereafter NSA], 15 vols., (Edinburgh, 1845), XIV. Richard Franck, Northern memoirs, calculated for the meridian of Scotland (Edinburgh, 1821), pp.205-6. James Loch, An Account of the Improvements on the Estates of the Marquess of Stafford, (London, 1820), pp.17-19. C.H. Herford (ed. ), Robert Southey, Journal of a Tour in Scotland in 1819, (London, 1929), p. 129. J.B. Craven (ed. ), Journals of the episcopal visitations of the Right Rev. Robert Forbes (London, 1923), p.151. Herford (ed. ), Robert Southey, p.121. Isaac Forsyth, A Survey of the Province of Moray: Historical, Geographical, and Political(Aberdeen, 1798), pp.338-9.